• Discover the vampires that drain your business. • Use our detailed real-time dashboard for instant feedback. • Upgrade your outdated plant with solid data. Electricity is the heartbeat of our businesses. 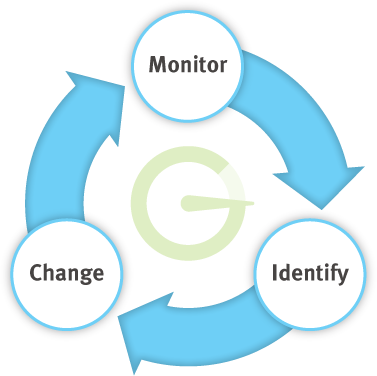 Monitoring will guide you to energy efficiency and sustainable long-term savings. You are a professional across all aspects of your business, but you are missing opportunities to save money and improve sustainability. Now it's time to act on those opportunities. GridSpy gives you the tools to monitor energy, engage staff and change habits and energy use. With GridSpy you can gather solid evidence and provide instant results. 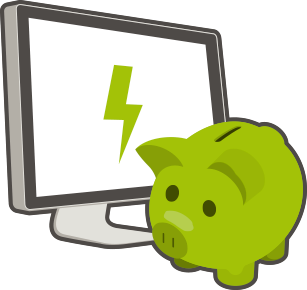 With GridSpy you won't just make energy savings, monitoring is also a management tool. You can clearly see when work is being done, plan future changes, and use it to predict turnover and maintenance schedules of machinery. Work hard to use energy efficiently and your staff will work hard to be efficient in their daily routines. Your business will thrive as all stakeholders take responsibility for how they manage energy. Your staff are motivated to make changes when they can view the results of their hard work on the shared Cloud Dash. You cannot change what you cannot see. Monitoring circuits of interest tells you where to focus your attention. It then gives you a solid financial footing on which to propose a saving or a change. Every time a change is made examine the data. How much did you save? Your Cloud Dash will tell you. What could you try next in real time while viewing the Cloud Dash? Second-by-second monitoring will tell you exactly how much more efficient your new lighting system is, or identify the issues with the HVAC. What's more it will make programmable systems even more efficient. The experts who tune the gear on your site can use high quality monitoring data to do a much better job. Air Conditioning systems cooling in Winter, Floodlights on at midnight when no-one was there, Boilers keeping water hot that wasn't needed for hours, Water Leaks in hot water circuits, Production halts that were longer than scheduled. You might think that you understand how energy is used in your business. However until you actually start monitoring and measuring all the invisible loads, bad behaviours and faulty equipment remains hidden to you. You've gone to all this trouble to be sustainable and to generate cold hard cash savings, now prove it. Share the high quality independent monitoring gathered with the GridSpy Solution. Use your monitoring data to tell a story about the energy saving project. Educate your staff how to operate the new equipment efficiently by publicising live energy use results. Talk about your success in a public forum using our friendly summary screens. Spot blocked pumps that never turn off because the job does not finish. See a refrigeration plant that is working too hard, causing the chiller to wear out or the goods to become spoilt. See machines that are beginning to seize up due to lack of lubrication draw more power. All this and more can be identified and targeted with GridSpy. Monitor your usage circuit by circuit, minute by minute and second by second with GridSpy. Identify areas where your business could be more efficient. Change wasteful equipment and user behaviour where it really counts. With commitment from your management team, clear targets and sufficient investment in monitoring resources you can implement an energy Targeting and Monitoring programme that will save your business energy and money. The key benefit GridSpy provided me as an energy consultant was a higher level of data and information. This high level of data ensured that energy efficiency opportunities were identified and implemented and also allowed energy savings to be measured in a more timely fashion.